October 4th through the 10th is National Fire Prevention Week in the U.S., advocates at the National Safety Council (NSC) recently announced. This week is dedicated to preventing deadly home fires, educating the public about how to protect themselves at home and saving lives. To this end, below, we have pointed out some important facts to know about home fires. We encourage you to share these facts with your loved ones so that everyone can support National Fire Prevention Week and make every effort to protect themselves and their families at home. 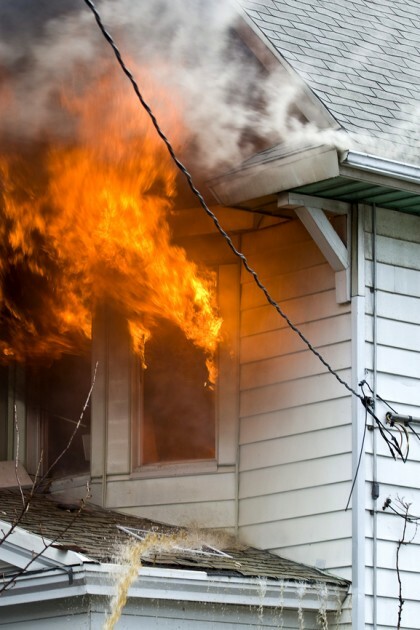 The Facts about Home Fires in the U.S.
To kick off National Fire Prevention Week, here are some important facts to know about home fires, a Portland personal injury attorney explains. Home fires cause at least 2,200 fatalities each year in the U.S. – The NSC has estimated the number of deaths caused by home fires in the U.S. to be just over 2,200. This, however, may actually be a conservative estimate, as the National Fire Protection Administration (NFPA) estimates that home fires kill at least 3,250 people in the U.S. annually. Tragically, the devastation caused home fires does not stop there; as the NFPA has noted, each year, these fires injure nearly 16,000 others and result in around $11.6 billion in property damage. Home fires can be caused by various things – In many cases, home fires result from people’s carelessness or lack of knowledge, such as throwing lit cigarettes away in garbage cans with paper or trying to put out a grease fire with water. In other cases, however, defective home appliances and even the poor construction of a structure can contribute to home fires. Smoke detectors in homes dramatically reduce the risk of dying in a home fire – In fact, according to safety experts, functioning smoke detectors in homes can cut the risk of dying in a home fire in half. This is one of the main reasons that safety experts strongly encourage people to install a smoke detector in each room in a home and to regularly check/properly maintain these detectors to ensure they are always in working order. Developing an escape plan for your loved ones in case a fire (or some other disaster) erupts at home. Keeping a fire extinguisher at home and making sure all mature children/adults know how to use it. If you have been harmed by a defective product or an unsafe building/home, contact an experienced Portland personal injury attorney at the Savage Law Firm for experienced help and aggressive legal advocacy.